A look at 4 publications made in Singapore recently: SingKarPor; In the Still of the Night (While You Were Sleeping); Silenced Minority; and The Art of Charlie Chan Hock Chye. Darren Soh is one of the hardest working photographers in Singapore today, and is a fine example of a photographer that has found remarkable success blending his commercial work with personal projects. The other that comes to mind readily is India’s Prabuddha Dasgupta. In the Still of the Night (While You Were Sleeping) is Darren’s new follow-up photobook to his 2004 While You Were Sleeping, and is Soh signature landscape photography. 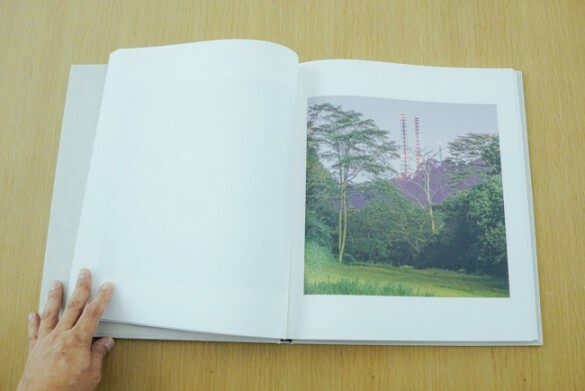 Designed by award-winning Singapore graphic designer Hanson Ho, who also designed Robert Zhao’s A Guide to the Flora and Fauna of the World (2013), the photobook is without a doubt, the most beautifully crafted this year. The book is substantial in size, minimal in design, and playful with paper. The mark of a good photobook designer is when all elements serve the photography rather then subvert it – Darren’s silent nightscapes look magnificent. Perhaps, the best summary on the book can be derived from an excerpt from Darren’s opinion piece in Singapore Photography, Pragmatism and the Political Landscape. In the Still of the Night (While You Were Sleeping) will be launched at an accompanying exhibition at Esplanade Tunnel on 18th November 2015. Aik Beng Chia calls SingKarPor a portrait of Singapore, but it is as much an autobiography as Aik Beng’s first Tonight The Streets Are Ours (2013) photobook was. 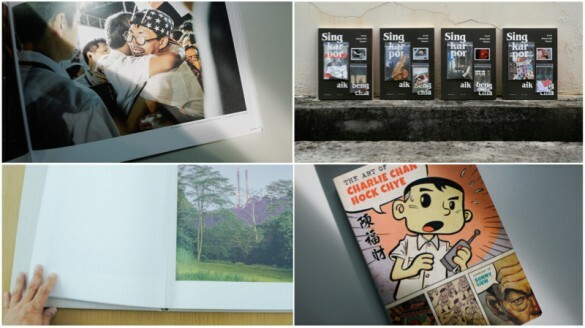 Flipping through SingKarPor is like rummaging through Aik Beng’s 4 year hoard (2011-2015) of street photography and portraits, most of which are #randomuncles he has shared through his social media. The book is also interspersed with nuggets and motifs from daily Singapore life – my copy came with a torn parking coupon and a one cent coin in zip locks on the cover, along with a toto ticket and ‘room for rent’ notice inside. While these appear gimmicky on first impression, they frame Aik Beng’s photography appropriately and add gem and context to his Singaporean on the street subjects, of which he is one. 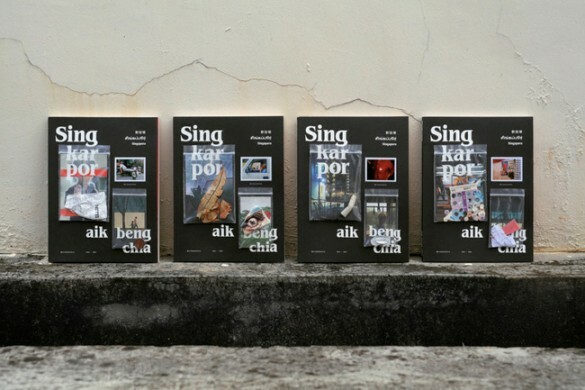 SingKarPor, curated by K+ and designed by Kinetic, is another well-made Singaporean photobook and Aik Beng’s photography is accessible with broad appeal. Silenced Minority, a collection of photo reportage of Singapore’s 2015 General Elections, is one of two independent photobooks this year on major events in Singapore of political significance – the other being “Thank You, Mr. Lee”, likewise a posterity record but on the death of Lee Kuan Yew, patriarch of Singapore’s dominant ruling party PAP. One can’t look at one without referring to the other. By very nature, both books mirror opposing ends of the same dialogue and hint at the layered landscape in which local photographers navigate sociopolitical themes. Silenced Minority is the collaborative effort of three photographers Mindy Tan, Seah Yu Hsin and Chen Wansheng under the label “Little People Collective”. While they offer different readings to the book title, I can assume one of them refers to the overwhelming vote of the majority for one party rule in the 2015 elections. The book could have benefitted from a tighter edit but the strength of the trio’s photography make it a valuable pictorial document of an elections that will be much talked about in future. And while Mindy, Yu Hsin and Wansheng profess to be neither artists nor activists in the book’s blurb, their authorship and language point beyond an objective stance, and this is what I personally found most appreciation for. 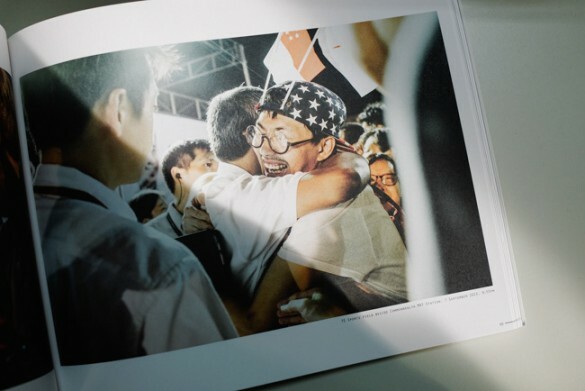 The photobook also features essays from Former People’s Action Party MP Inderjit Singh, Singapore Democratic Party’s Dr Chee Soon Juan and Paul Tambyah, Workers’ party candidates Daniel Goh and Dylan Ng, as well as mothership.sg editor Belmont Lay. Silenced Minority might scare off the majority and find a limited audience, but do grab a copy – for history, perspective and importantly, for the little people. Proceeds from sales will be donated to charity. Not quite a photobook, but hard to ignore. Sonny Liew’s graphic novel The Art of Charlie Chan Hock Chye is a relevant visual narration nonetheless, and in my opinion, one of the best art books made in Singapore in recent times. 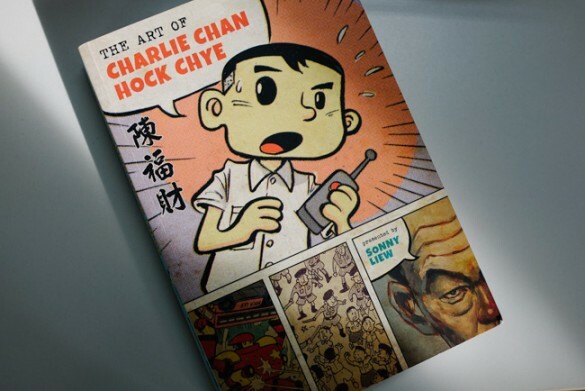 It is easy to get caught up with the NAC publication grant retraction controversy (for “sensitive content, depicted in visuals and text”) and forget what a brilliant book and piece of art ‘The Art of Charlie Chan Hock Chye’ is. Sonny conducts an imaginative metahistorical inquisition of Singapore through the accessible pictorial medium of comic strips. Charlie Chan Hock Chye, a fictional character of Sonny’s making, is used as a muse to question not only country and leadership, but also the agency of artists and citizens. A good pseudo-insurance come motivational approach to working on photo/art projects is to approach it as an investment in 2Cs – Commentary and Craft. If audiences do not sympathise with one, they would the other. Sonny hits the mark on both and The Art of Charlie Chan Hock Chye is a valuable lesson in authorship for photographers and/or artists alike. Kudos to Epigram Books for publishing. Best Art Book made in Singapore. Highly Recommended.